Oh, the pleasures. Those are the opening words of Handel’s delightful pastoral opera “Acis and Galatea,” and a fitting commentary on the performance of that work by Musica Angelica the other night at the Center Theater. Nine instrumentalists and five singers combined forces in a concert presentation. One didn’t miss much of the dramatic action, which is almost nonexistent anyway; the singers mainly sing arias commenting on their situations, with a few duets mingled in. The five unite at the beginning and the end to form the chorus. Handel’s music is glorious. And for an effective presentation you need two things: style and flawless execution. That’s what we got. Musica Angelica is one of the premier historical performance groups around, and their practical application of Baroque performance practices is a wonder to behold. In addition, they are all wonderful musicians and masters of their respective instruments. 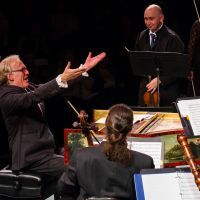 The ensemble, under the firm direction of music director Martin Haselböck, who presided at the harpsichord, played Handel’s music the way it was meant to be played. The singers were excellent. As the eponymous young lovers, Teresa Wakim and Steven Caldicott Wilson possess sweet, crystal clear voices that can negotiate Handel’s coloratura passages with ease and soar when necessary. Tenor Wilson began with a soft edge, but by the time he got to, “Love sounds the alarm,” the voice was ringing triumphantly. For a minor character, Nils Neubert had a lot to do, and he sang beautifully. About all mezzo Tracy Cowart had to do was sing the opera’s best tune, “Would you gain the tender creature,” and she knocked it out of the park. Handsome, slender Christopher Herbert is physically all wrong for the ugly giant Polypheme. Fortunately, he’s a terrific actor and an exemplary singer, and his resonant baritone is perfect for “O ruddier than the cherry.” He made the villain funny and scary at the same time, as he should be. Supertitles were not needed. The opera is in English, and even though the singers were upstage of the orchestra, Handel’s text contains enough repetition to enable the listener’s total comprehension. And the Center Theater is the ideal venue for this sort of intimate presentation. So, this was a terrific performance of a great piece. Why were more people not there? Well, it was a Thursday night, tickets are not cheap, historical performance is an acquired taste, the group isn’t based locally, etc. 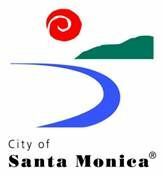 Given all that, with a little effective marketing, an ensemble of this quality should be able to attract a larger share of the Long Beach concert-going public. Hope they try again next year.